Comet offers two convertible. Shown, the bucket seat S-22 with the new Cyclone 260 V-8. For 63′, Meteor widens its line of low-priced cars with sparkling new hardtops and wagons. Recessed rear window opens for Flo_through ventilation, stays clearer in rain or snow. Swept-back roof shades rear seats, increases headroom and rear visibility, adds distinction that is Mercury’s alone. 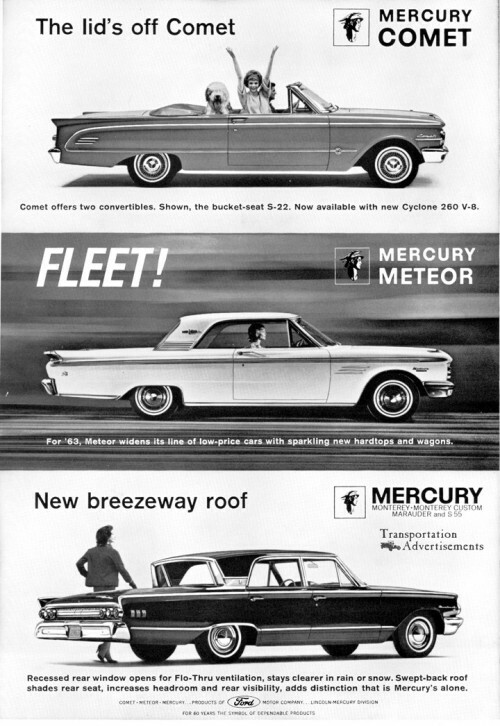 1963 Mercury Monterey advertisement touting the advantages of the “Breezway” window. 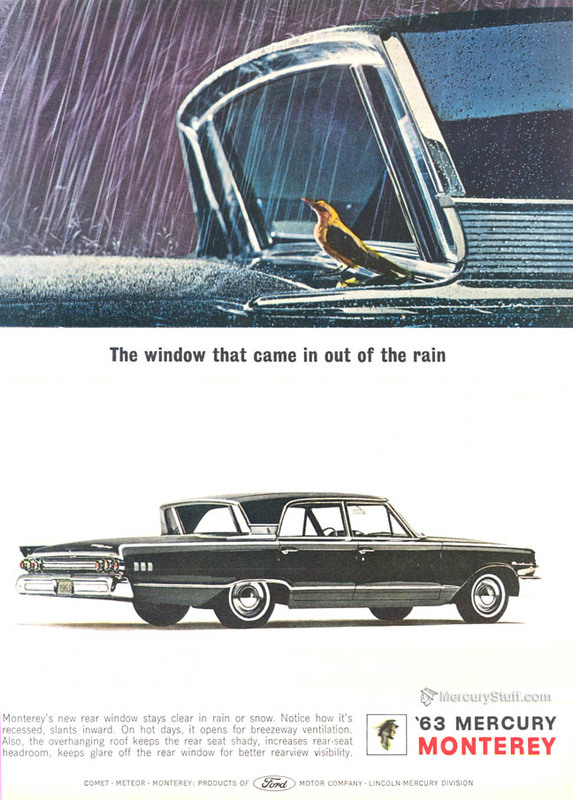 The Breezeway windows was a roof style available on all 1963 full-sized Mercurys, that offered a reverse-slanted power rear window. Transportation Advertisements is powered by	WordPress 5.0.4 and delivered to you in 0.371 seconds using 30 queries.